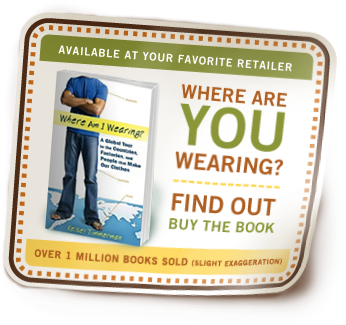 Kelsey Timmerman, author of “Where Am I Wearing? A Global Tour to the Countries, Factories and People That Make Our Clothes,” has traveled extensively in the developing world. In Bangladesh he saw how extending micro-credit to women changes lives. In Kenya he met a former US Special Forces soldier fighting terrorism by fighting extreme poverty. Kelsey will share stories about people that he’s met on his travels as he touches on the themes of extreme poverty and the importance of educating girls that Mortenson writes about in “Three Cups of Tea.” He will also introduce dedicated individuals who, like Mortenson, are impacting the world in very big ways and discuss how each of us can impact it as well. Kelsey believes that if we reduce global issues to the stories of individual people, we can better see ourselves, our parents, our sons and daughters, and our hopes and struggles in one another. In honor of Mortenson’s amazing book, I’m giving my $10 this Tuesday to his organization the Central Asia Institute.